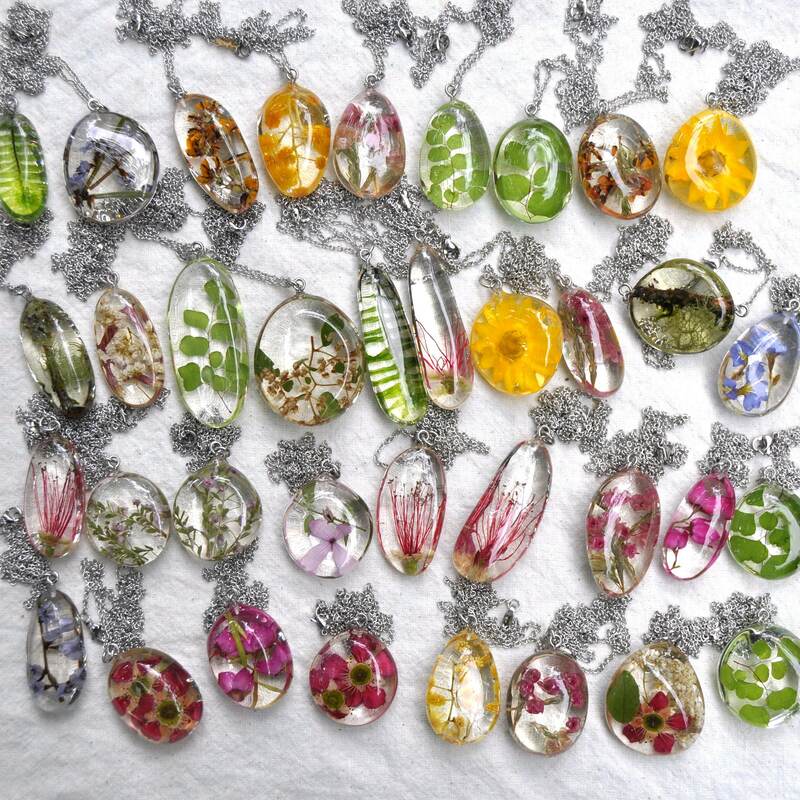 Each pebble is hand cast in clear eco resin and modelled from a natural river stone. 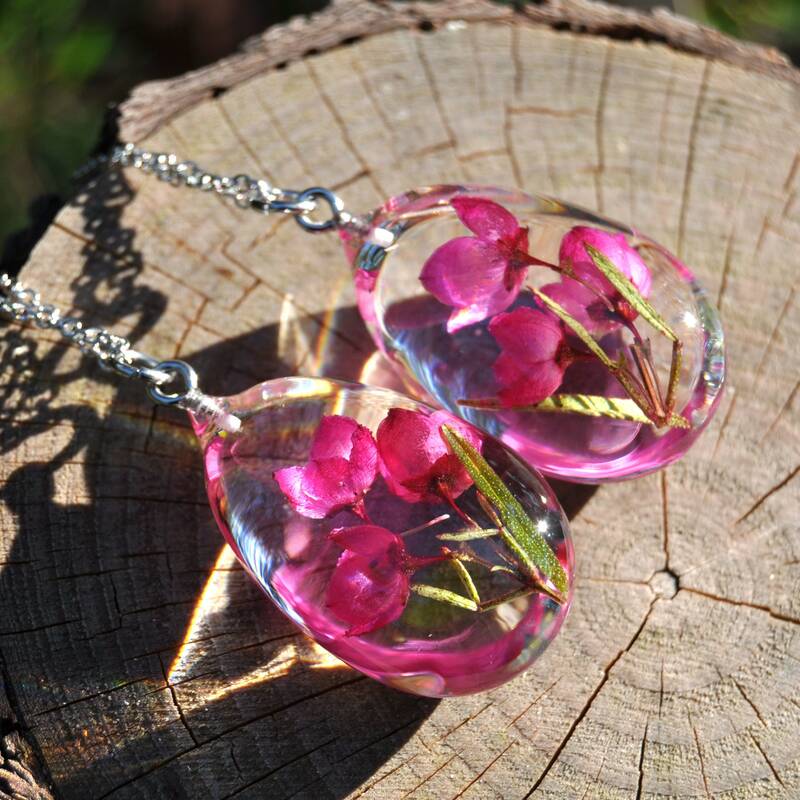 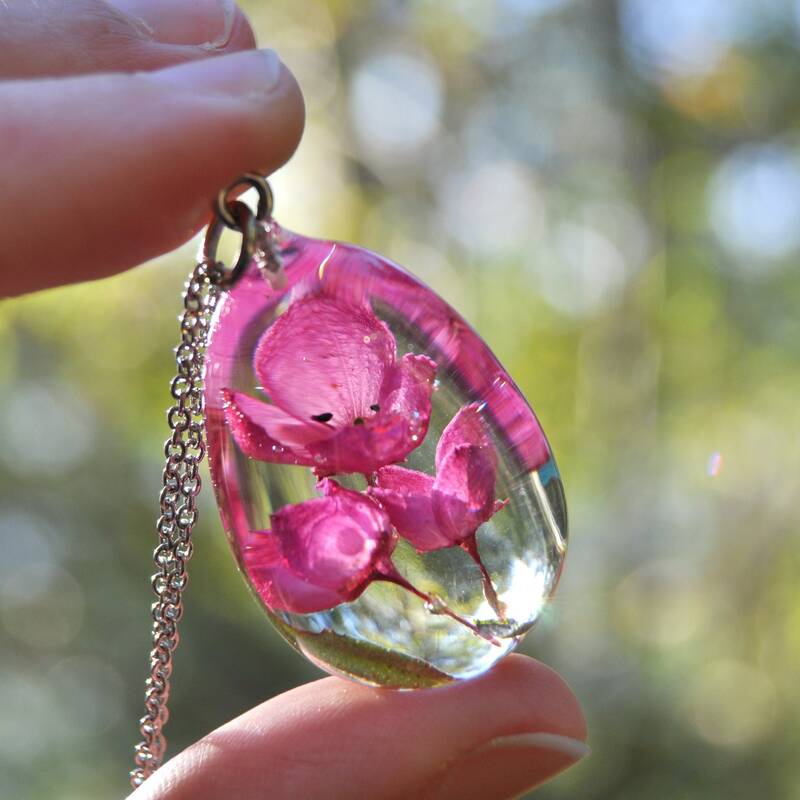 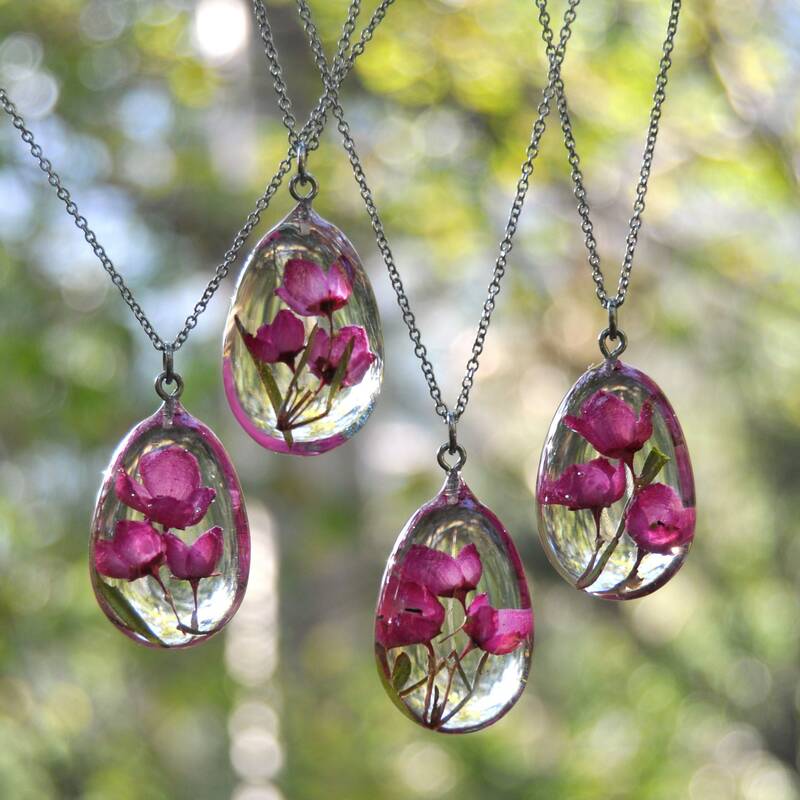 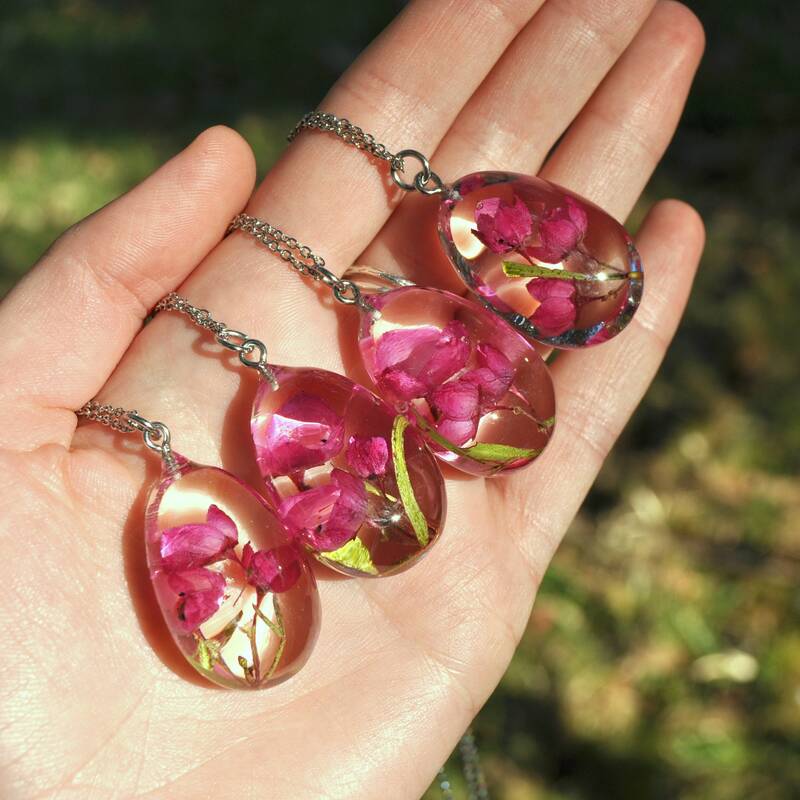 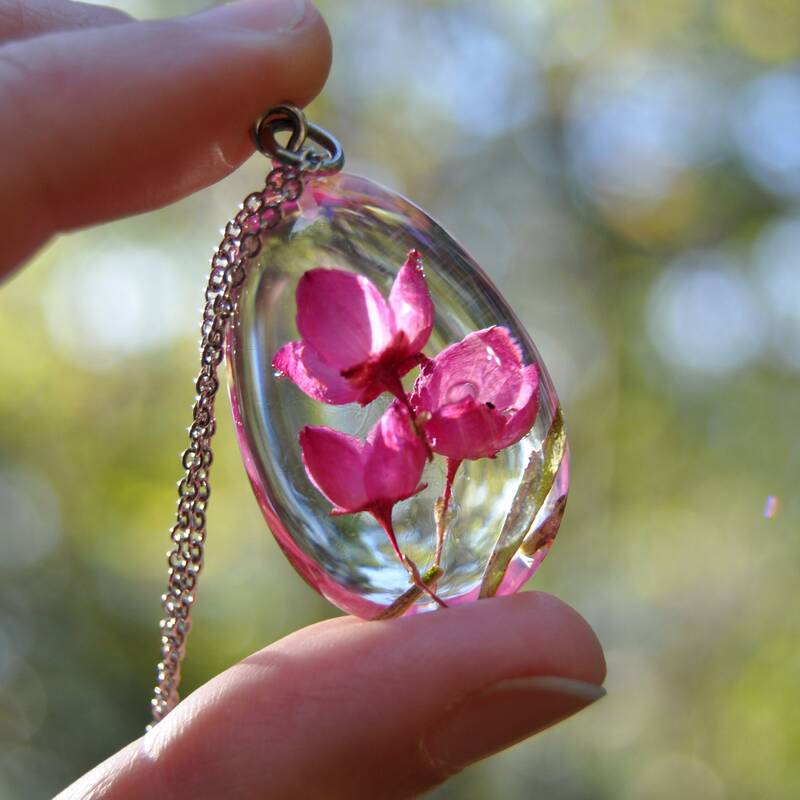 Inside each pendant are three natural Red Boronia flowers, each a vivid and beautiful deep pink. 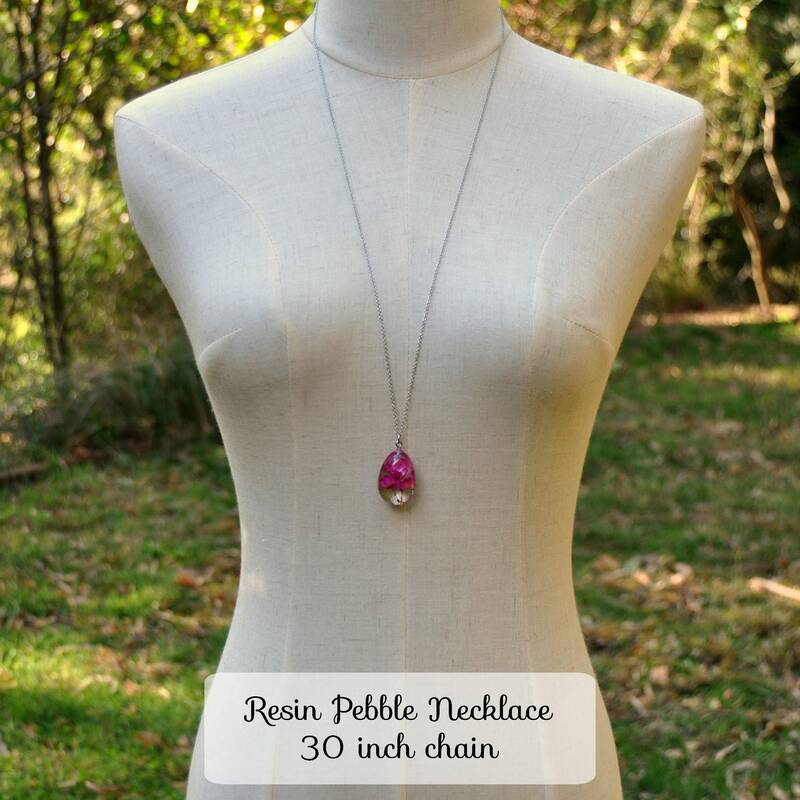 Pebbles measure about 36 mm x 23 mm x 14 mm.